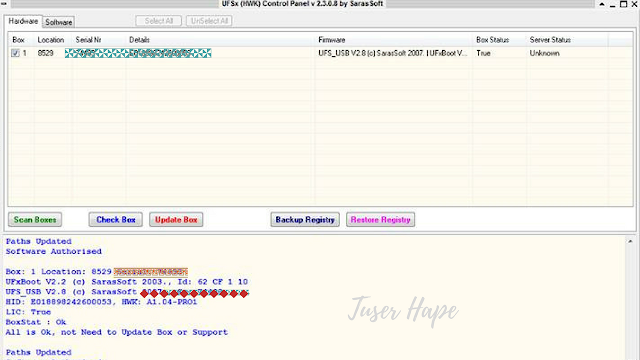 Sebelum mulai instal UFS PANEL , silakan download dan extract kemudian instal SarasSoft HWK_Setup 2.3.07 / UFS Offline Instaler ( Pilih salah satu saja dari link download yang ada di bawah ) atau jika download file UFS_2.03.07_Without_DHT.rar kemudian file Nokia dan SarasSoft copy ke folder C : > program file atau C : > program file x86 ( jika anda menggunakan win64 ). 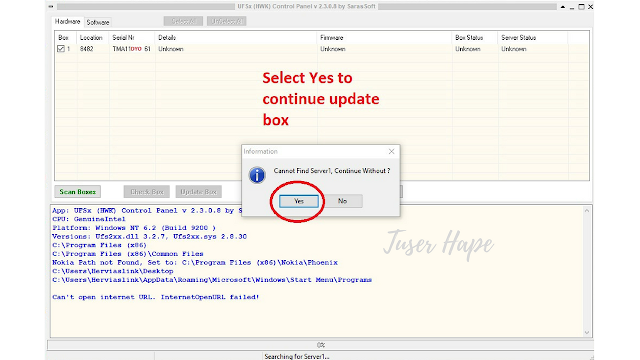 Untuk update UFS panel terbaru PC harus terkoneksi ke jaringan internet. Cannot Find Server1 no problem klik YES saja . 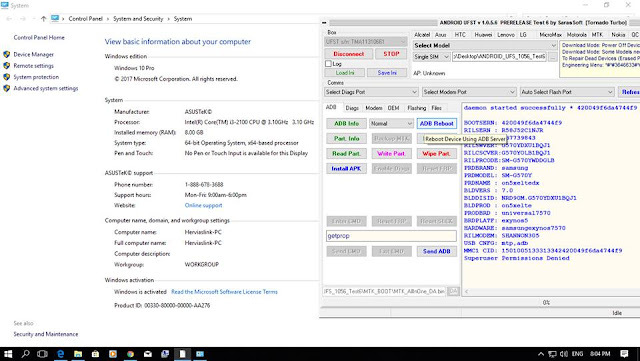 Kemudian [Scan Boxes] , jika box ufs tidak dikenali silahkan cek kabel usb atau driver mungkin belum terinstal dengan benar. Extract Asus .RAW Images, will be produced Files Folder and FastBoot Batch. Extract CoolPad (Yulong) .CPB Images, from CP14 to CP17 and .CP8 types. CPB Start Byte Trash as "004:36=<..." will be Removed and Informed about it. Extract Huawei APP Images (not Zipped). Extract Motorola Bootloaders (Qualcomm Motoboot and Single_N_Lonely). Extract Nokia (HMD) .nb0 Images. Here will be invoked Files list Editor so can Add, Change or Remove files. Note: Always need to Agree with use of Patch.xml when GPT is changed. Fixed of '-sign', '-verifed' files recognition from Scatter Parser. Added more Helio Devices, improved Flashing and META Protocol. [Convert GPT] Added. It Generate Rawprogram.xml and Patch.xml from GPT Binary. 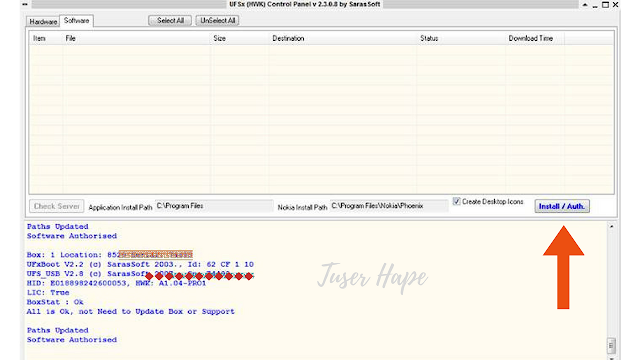 Some Secured Devices can Boot only with Vol+,Vol- Buttons and need Preloader. 1 Response to "UFS PANEL 2708 ( UFS HWK )"
Master ufs kegunaannya apa z shaman andtoid? ?